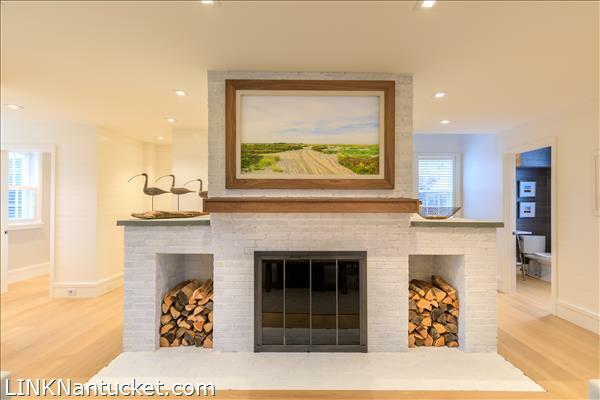 A bright living area with wood burning fireplace and double sets of french doors open to the porch and backyard greet you as you enter the main living area. 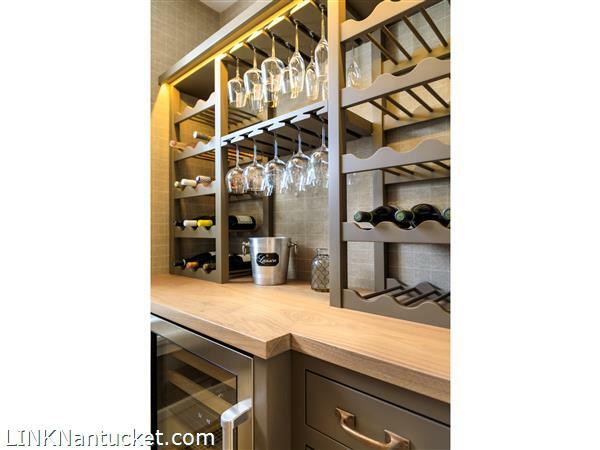 A bar area off the living room and pantry area off the kitchen complete the thoughtful layout of this new home. 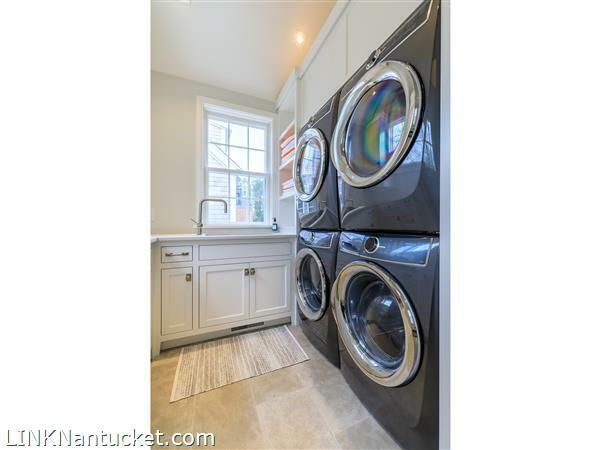 The laundry room has 2 washers and 2 dryers and is well positioned at the side entrance by the mudroom. 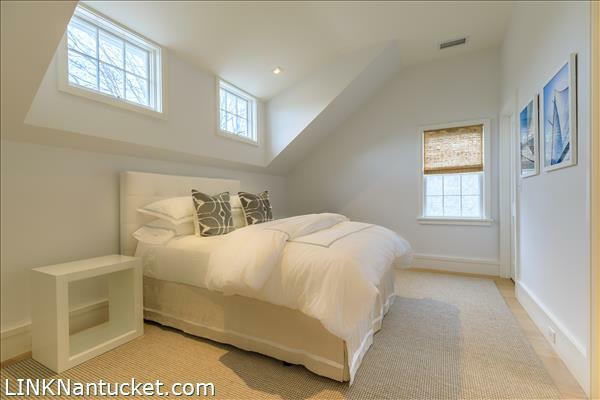 The master suite is conveniently located on the first floor and offers a heated bathroom floor and a sitting room looking out to the backyard. 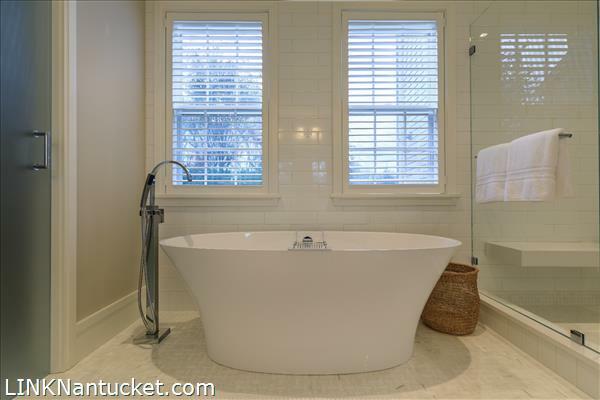 Three furnished bedrooms and three bathrooms. 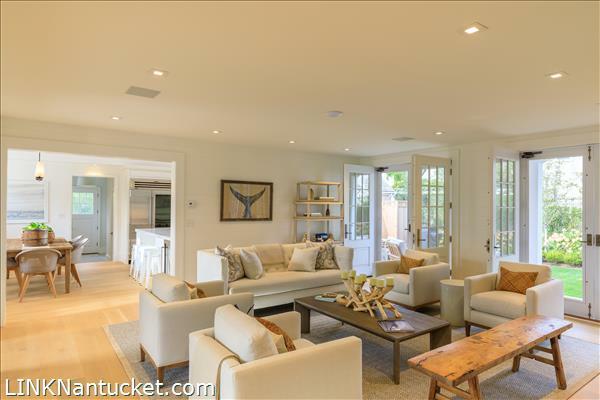 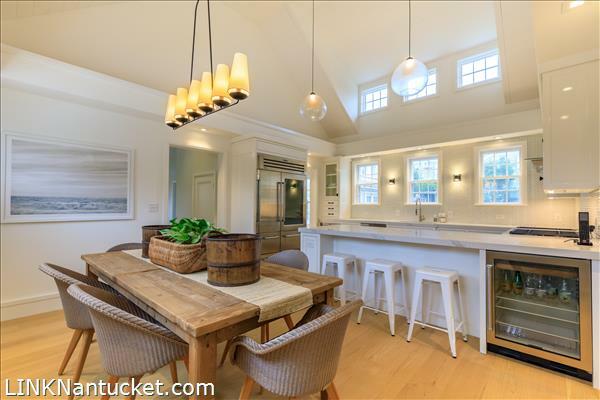 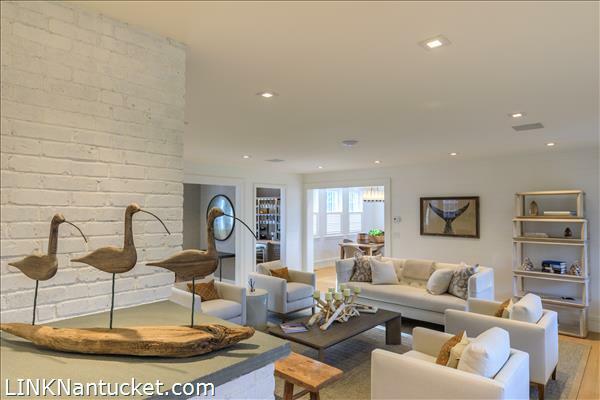 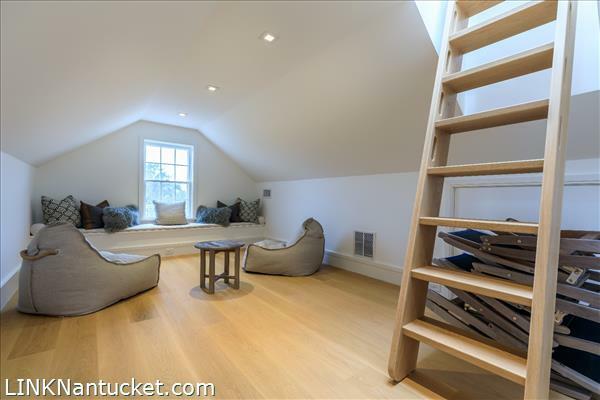 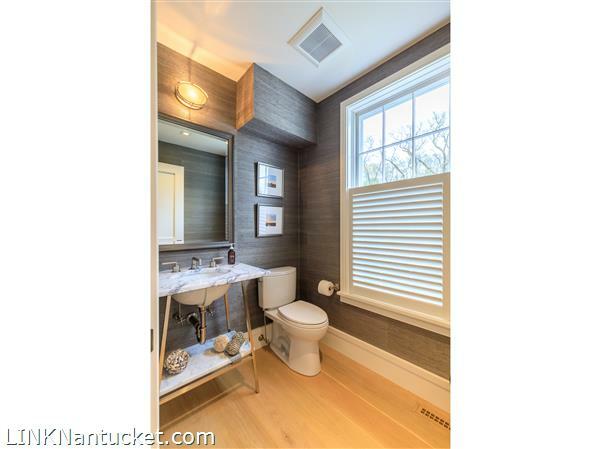 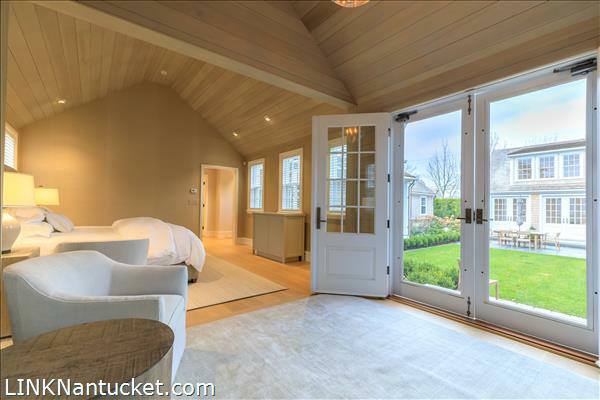 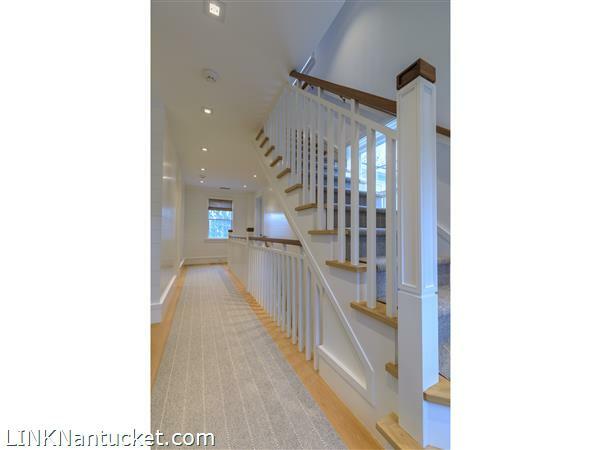 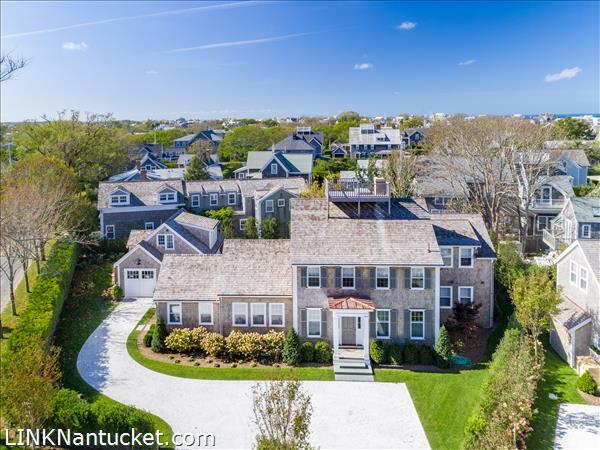 A continued staircase from the second floor leads to a bright living space with window seat and easy access to the roof walk offering beautiful views of Nantucket Harbor & Sound. 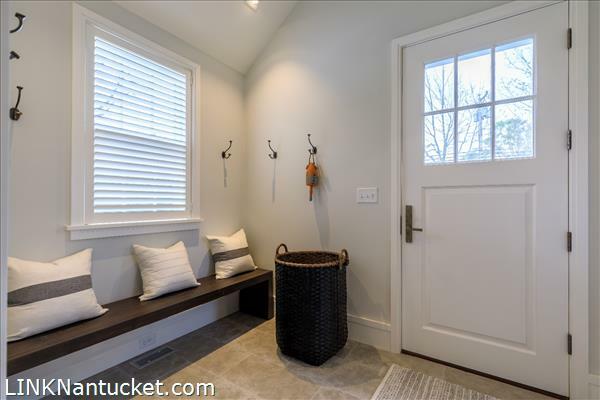 Completely renovated garage/studio with living room area, half bath, and kitchenette on the first floor, and a bedroom with ensuite bathroom on the second floor.